Earlier this year NVIDIA resurrected the "Ti" monniker with the GeForce GTX 560 Ti, and now the company breaths new life into the "MX" suffix with the GeForc GT 520MX, an entry-level laptop graphics card. 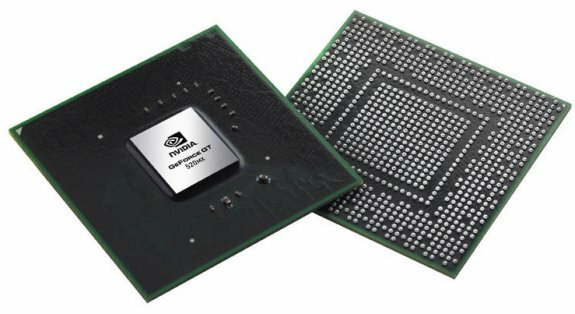 Additionally, the company also officially introduced the GeForce GTX 560M, which should be about 15 percent faster than the GeForce GTX 460M. NVIDIA today unveiled the first gaming notebook graphics processing unit (GPU) in its award-winning GeForce(R) 500M Series of notebook GPUs. The GeForce GTX 560M graphics processor hits the "sweet spot" for gaming notebooks by delivering a no-compromise gaming experience at full 1080p resolution in the hottest new DirectX 11 titles. For the first time, leading OEMs will also be offering GeForce GTX gaming GPUs with NVIDIA(R) Optimus(TM) technology. "The GeForce GTX 560M and NVIDIA Optimus mean gamers get 50 frames per second in Duke Nukem Forever and five hours of battery life in Microsoft Office," said Rene Haas, general manager of notebook products at NVIDIA. "That's real power and real portability." GTX GPUs also support NVIDIA SLI(TM) technology, the industry's most scalable multi-GPU platform for doubling gaming performance, and are also supported by the highly-praised NVIDIA Verde(TM) notebook drivers. For thin-and-light notebooks, NVIDIA also refreshed its entry-level GeForce GT 500M GPUs with the arrival of the new GeForce GT 520MX GPU. GeForce GT 520MX offers better performance, wider support and a more advanced feature set than integrated graphics(i) and offers a step forward from the existing GeForce GT 520M GPU.